In general, algorithms are mathematical instructions used by computers to perform different tasks. Google’s search algorithms are designed to sort web pages and display the most suitable results by finding websites with the right keywords and ranking them on the result page. The rankings depend on a few aspects, one of them being the frequency of the keywords. In addition, the search algorithms pay close attention to headings and keyword dispersal. Google might update them even a few times a month. 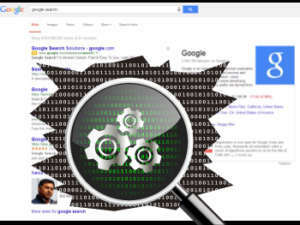 In order to ensure that accurate search results reach the users, Google is constantly modifying its algorithms. 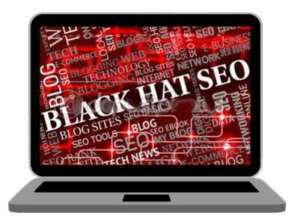 This is done to stay ahead of Black Hat SEO practices, which consist of stuffing an unnecessarily large number of keywords into the text, adding unrelated keywords, invisible text and implementing other methods. The end result can get high rankings but the text will not be interesting or even relevant to the users. Google algorithms are a good way to filter good content, but they can make it difficult for SEO experts to keep up with the newest trends. These search algorithms were created to facilitate users’ browsing by finding the best results possible. However, as some pages implement bad practices for rankings, Google constantly changes its search algorithm to avoid irrelevant content. On the other hand, these constant changes can make the task of achieving a high ranking difficult even for high-quality content. For this reason, SEO experts have to constantly adapt to the ever-changing algorithms and find new ways to improve SEO strategies. The best way to stay at the top is finding a way to combine high-quality content with the newest trends of the search algorithms. It is essential to know all the latest information and to be prepared for the upcoming changes. For this reason, it is very important to trust your content to professional SEO experts that would help you implement the most recent methods in order to keep your page at the top of the results. We at SEO SEM Professionals always keep track of the algorithm changes, often knowing about the changes before they are released. While we strive to keep our SEO methods up-to-date, we also consult our clients on creating good, relative content to ensure that they get the high ranking positions they deserve.